This is a professional application, two channel active DI, which will work well on instruments with passive or active pickups or on direct outputs from keyboards and the like. 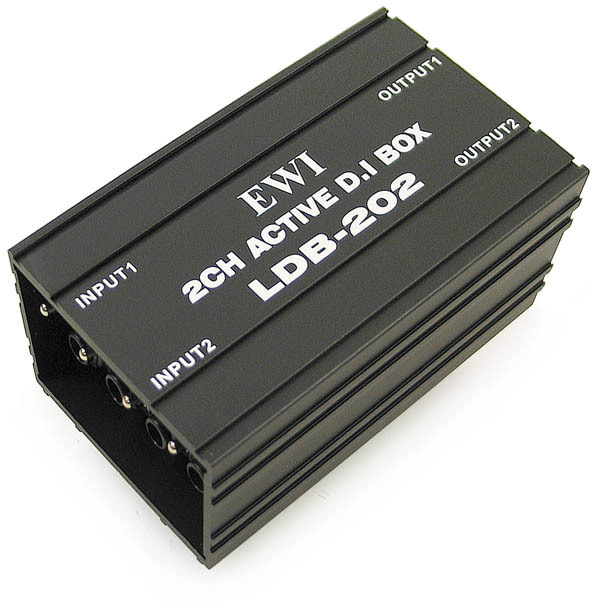 The LDB-202 can be used for stereo left and right applications or for two independent mono signals (there is no internal summing of the input channels). The construction is compact and rugged with components that are well suited for the application resulting in a nice rich sound. Since this is an active D.I. box, it needs to be powered which can be done either with Phantom Power from the mix board, or with the supplied internal 9v battery. The battery is fairly easy to change by removing one screw in the bottom of the case. 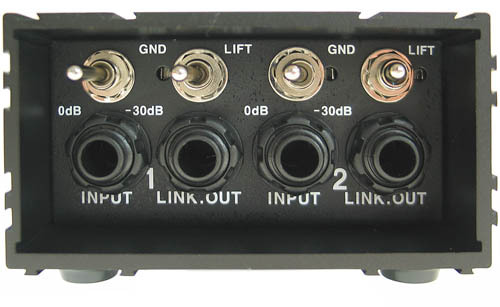 This item is typically used to split the instrument signal going to a stage amp so a feed can be sent also to the mix board. 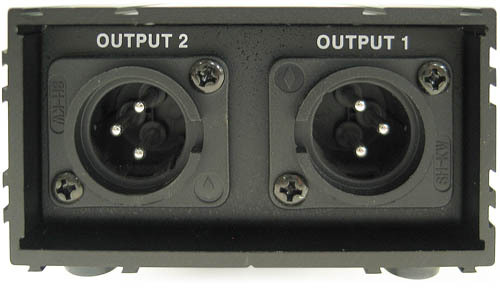 It is equipped with two sets of parallel ¼” jacks for put-throughs and two XLR jacks for the sends to the board. Also there is a separate ground lift switch and a 0dB, or -30dB attenuator switch for each channel. The box is extruded aluminum which has a nice feature in that it is built so multiple boxes can be hooked together physically either side-by-side or one on top the other. There are 4 nice little rubber feet on the bottom to help keep it from sliding around on a slick surface or damage a nice surface. This is one great D.I. box which will sound excellent and last for decades. 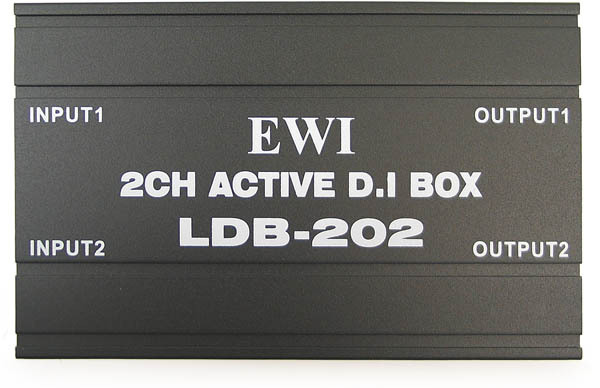 High performance, 2 Channel Active D.I.